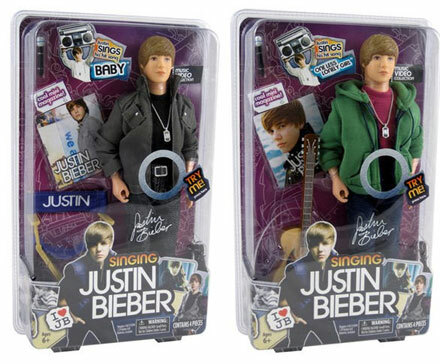 Ready for Justin Bieber dolls and teddy bears? Let more Justin Bieber in your life! 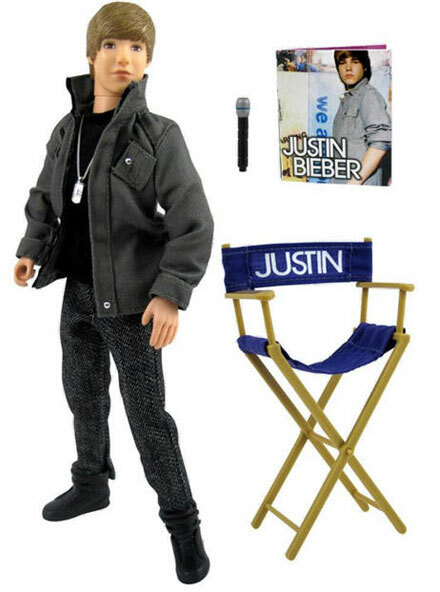 Having Justin Bieber bedding in your room isn’t enough for tons of the fans, now they can add a Justin Bieber doll or teddy bear to their ultimate fan collection. Justin Bieber dolls and teddy bears will arrive around December 4th and will come in two sets priced $27.99 and $17.99, respectively, with JB Signature Plush Teddy Bears available for $7.99. 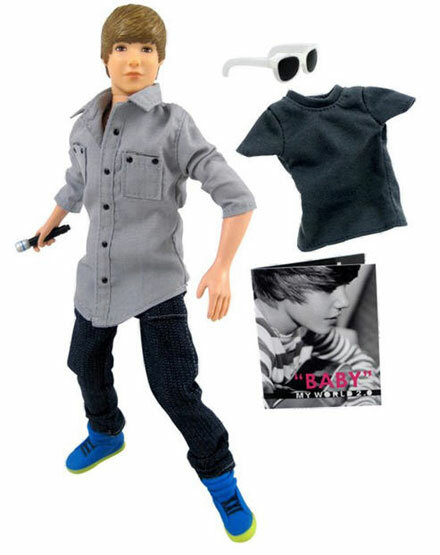 The Justin Bieber Music Video Collection dolls play 30-second clips from JB’s songs, ‘Baby’ and ‘One Less Lonely Girl.’ These dolls are styled after Justin’s looks from music videos. 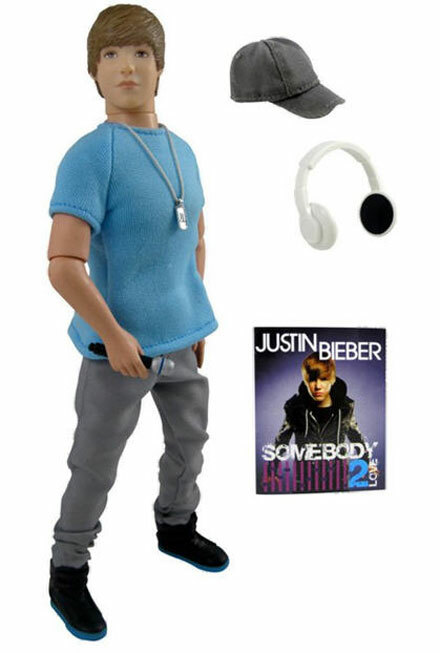 The other line, The JB Style Collection, presents dolls styled after Bieber’s redcarpet and street looks and features his trademark caps and sunglasses, as well as earphones and additional t-shirts. 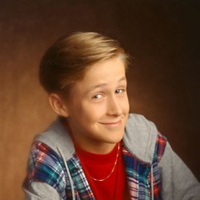 As to the Justin Bieber teddy bears, the only thing that sets them apart from all other teddy bears is t-shirts and hoodies with ‘Justin Bieber’ or names of his songs written on them. 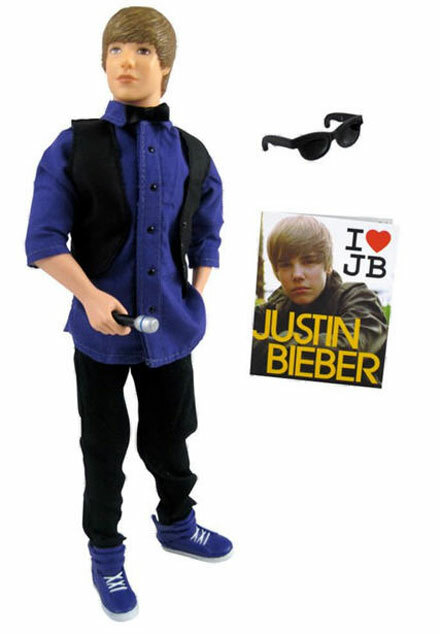 What do you think about the Justin Bieber dolls and teddy bears? Leave your thoughts in comments! he is hot and geourgus!but why did they put the button there?